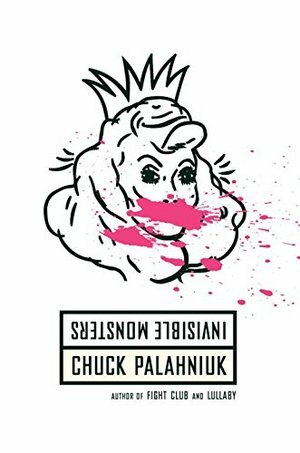 Love, betrayal, petty larceny, and high fashion fuel this deliciously comic novel from the author of Fight Club. She's a fashion model who has everything: a boyfriend, a career, a loyal best friend. But when a sudden freeway "accident" leaves her disfigured and incapable of speech, she goes from being the beautiful center of attention to being an invisible monster, so hideous that no one will acknowledge that she exists. Enter Brandy Alexander, Queen Supreme, one operation away from becoming a real woman, who will teach her that reinventing yourself means erasing your past and making up something better. And that salvation hides in the last places you'll ever want to look. This book leaves you in a constant state of "What the hell is going on?" but entirely in a good way. For the entire first half of the book, the plot seems as though it is going nowhere and will never make since. Several times I was even tempted to put the book down entirely. However, when things finally did start coming together, it was mind blowing. The entire book wraps up into a nice, neat little bundle that leaves you extremely satisfied. Challenging structure, challenging gender, challenging loyalties - all just a taste of what this troubling, darkly hilarious book has to offer.